This month saw wide variance in forecasts released for December-February 2018-19, which seems to complicate things for repairers and insurers seeking to predict their demand during auto body prime time. Verisk subsidiary Atmospheric and Environmental Research had in October predicted a warmer than usual December, January and February, except for the Southwest, Northern California and southern Oregon and the central Rocky Mountains. But AER researcher Judah Cohen had to throw all of that out the window based on his interpretation of new data and modeling. 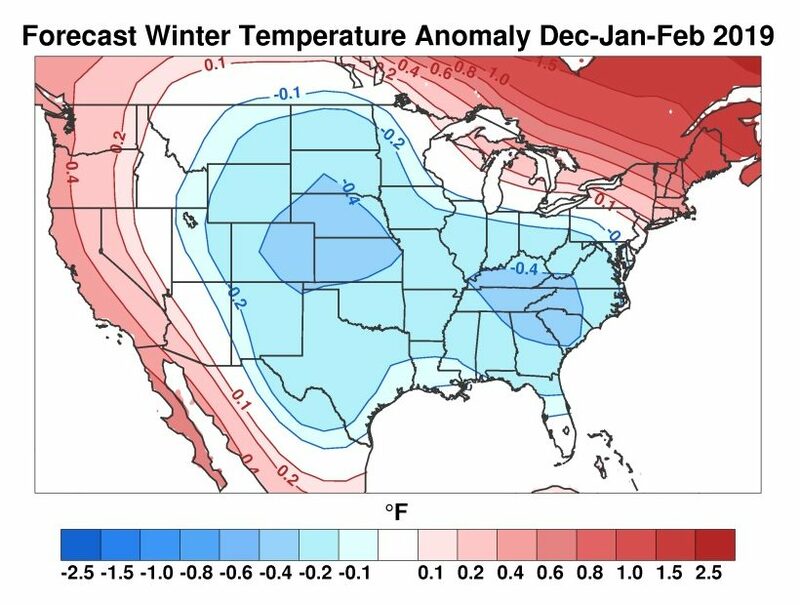 Cohen now predicts a slightly warmer than usual West Coast but colder temperatures for much of the Midwest and Southeast. The coldest temperatures from the norm are expected in Nebraska, Kansas, South Carolina, Kentucky and, Tennessee. 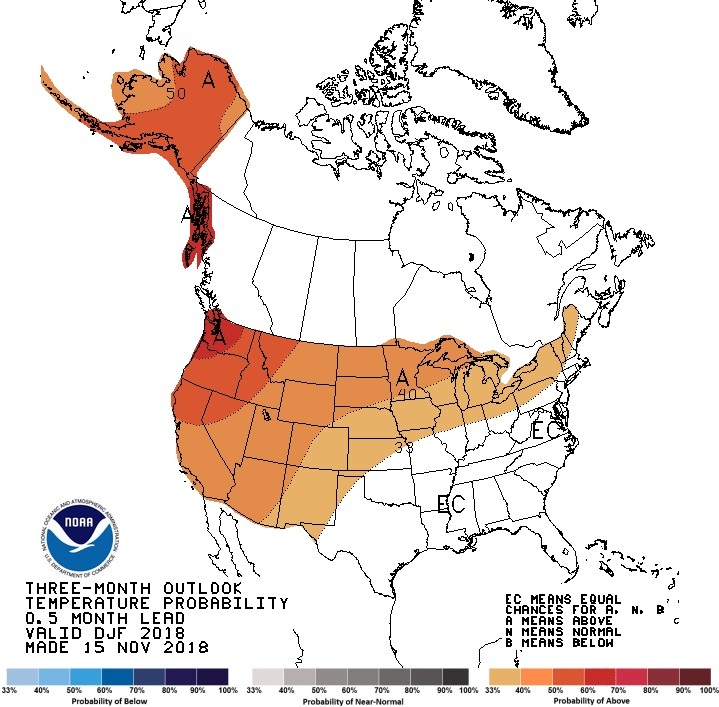 The National Weather Service, however, predicted Nov. 15 that December through March will be above-average. 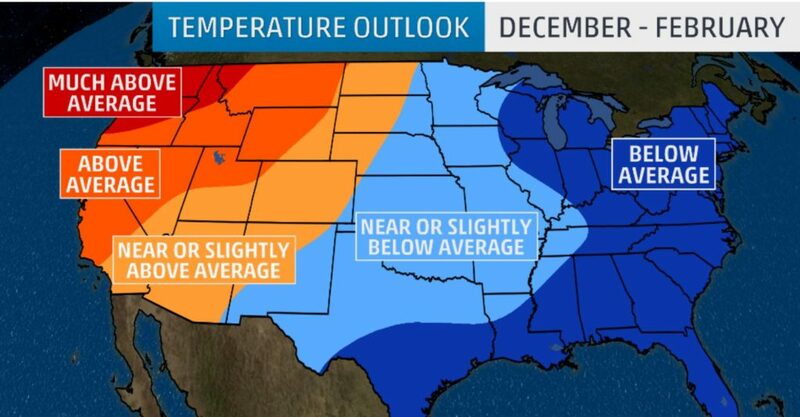 The Weather Channel/Weather Company kind of splits the difference in its Nov. 16, 2018, December-February forecast. 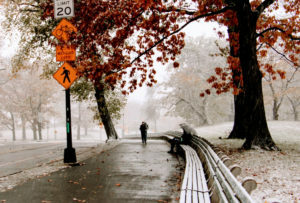 “The overall trend calls for a colder-than-average winter in the eastern half of the country while the West remains warm, according to The Weather Company’s latest winter outlook,” the company wrote. It thought the “harsher half” of winter would be in February. So the weather’s up in the air, no pun intended. But take a look at the three graphics see if the predictions are perhaps in sync for your area.